House GOP leaders tried to assure everyone Obamacare repeal is in fine shape at their press conference Tuesday morning. This followed a House Freedom Caucus vote the night before to oppose anything less aggressive than the 2015 Obamacare repeal bill, setting up a possible clash with other Republicans who don't want to repeal the law without a replacement. 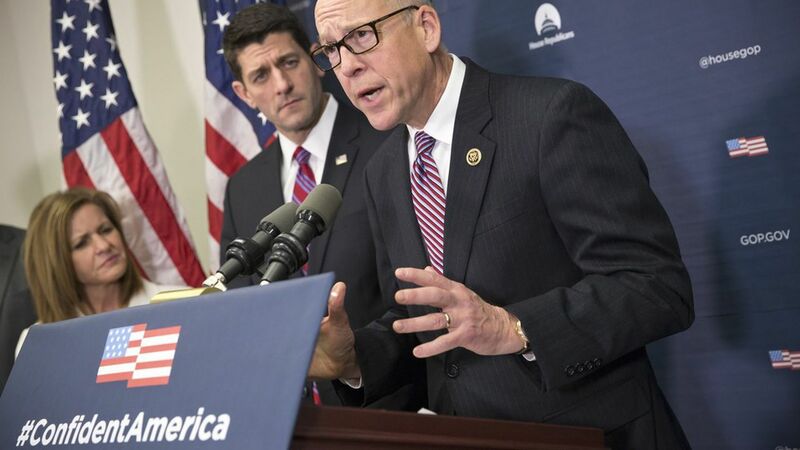 Energy and Commerce Committee Chairman Greg Walden hinted the leadership might be willing to cave to conservatives' repeal-first demands: "I think you're going to see us come forward with a replacement bill after we repeal that makes sure that people have access to affordable health care for the first time." But a senior GOP aide told me late Monday night that the leadership is moving "full steam" ahead on including replacement in the repeal bill. "We're on track. Our committees are going to work," Conference Chairwoman Cathy McMorris Rodgers said, a line echoed in one form or another by the committee chairs and other members of leadership at the press conference. GOP leaders announced at the conference meeting Tuesday morning that House Republicans will hold a policy planning meeting Thursday to continue the the discussion about the repeal and replacement plans, according to a source in the room. Majority Whip Steve Scalise will also be holding member meetings on progress throughout the week.